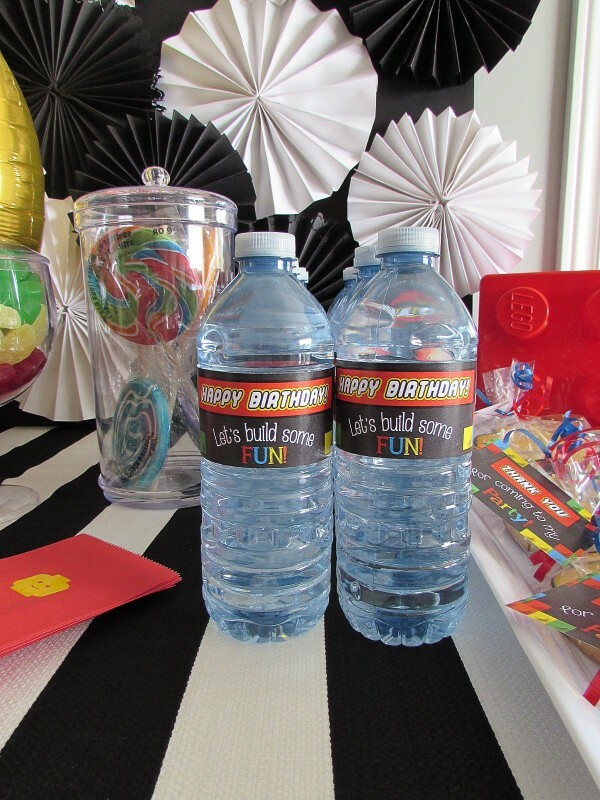 Kids change their minds almost daily — Especially when it comes to the kind of birthday party they want — and my son is no exception. Spider-Man, Jake and The Neverland Pirates, Big Hero 6 . . . every time I asked him which he wanted, the party theme seemed to change. 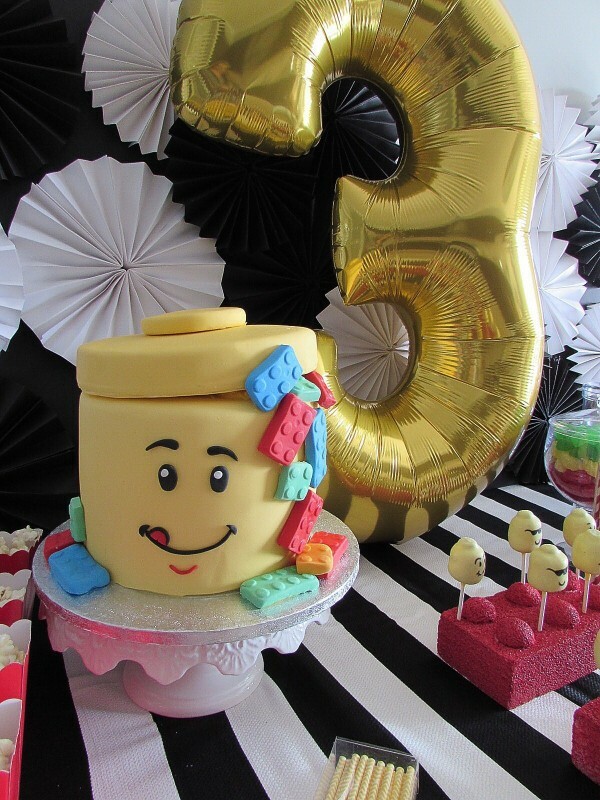 Finally, my son and I settled on a 3rd bday theme he didn’t change his mind on – LEGO! He loves The LEGO Movie and has been putting LEGO sets together so the theme stuck long enough that I could have the party. 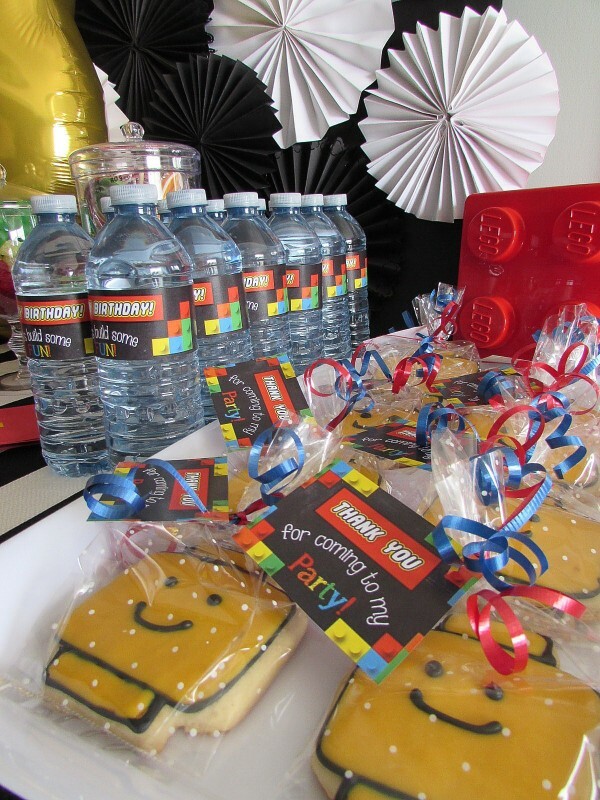 Keep reading to see how this ultra-chic LEGO-themed birthday party came together without breaking the bank! 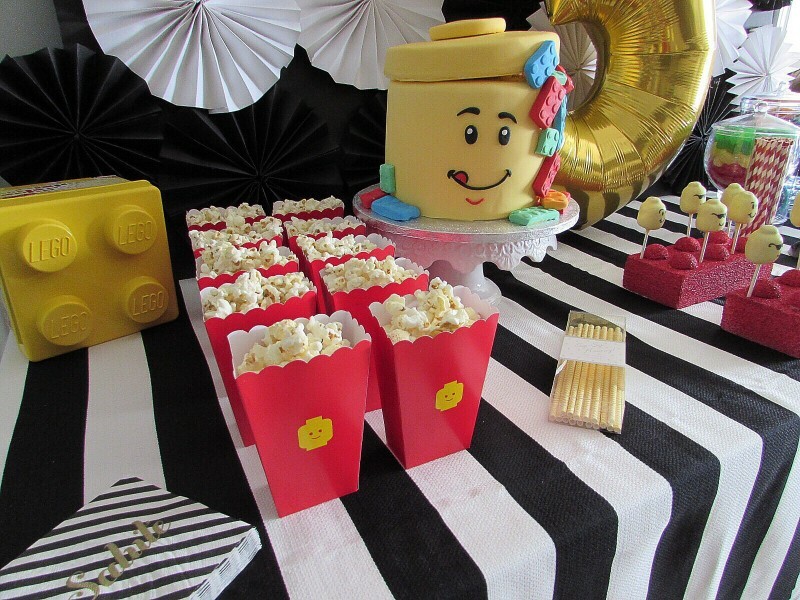 We had the party with family at our home, so I wanted to do a great cake table with the LEGO theme. I wanted to start with a fun tablecloth but I couldn’t find what I wanted anywhere, so I decided to go to a fabric store and have a tablecloth cut! It seemed a bit easier to look through a store full of fabrics to pick out my favorite pattern instead of finding a pre-made tablecloth online. Next up I decided to make my own backdrop for the table. I purchased three poster boards for a few dollars at Walmart, taped them together, then got to work on making paper fans. 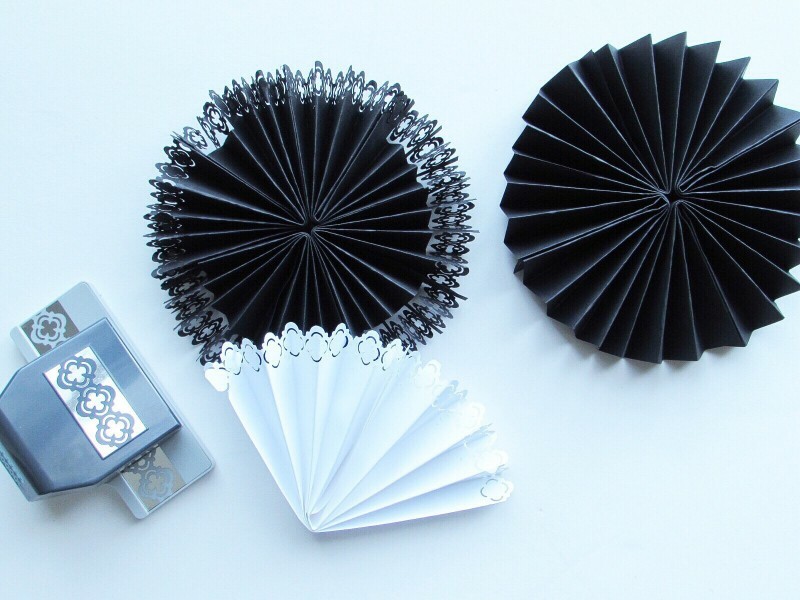 There are plenty of shops online that sell paper fans, but I decided to make them myself for this project. They are super easy to make — All you need is some paper and a glue stick! I used scrapbook paper because it’s a bit more sturdy. I also purchased a fancy hole punch to give some of the fans a pattern. I ordered the invitations, water bottle labels, and thank you notes from Lucky Little Prints. 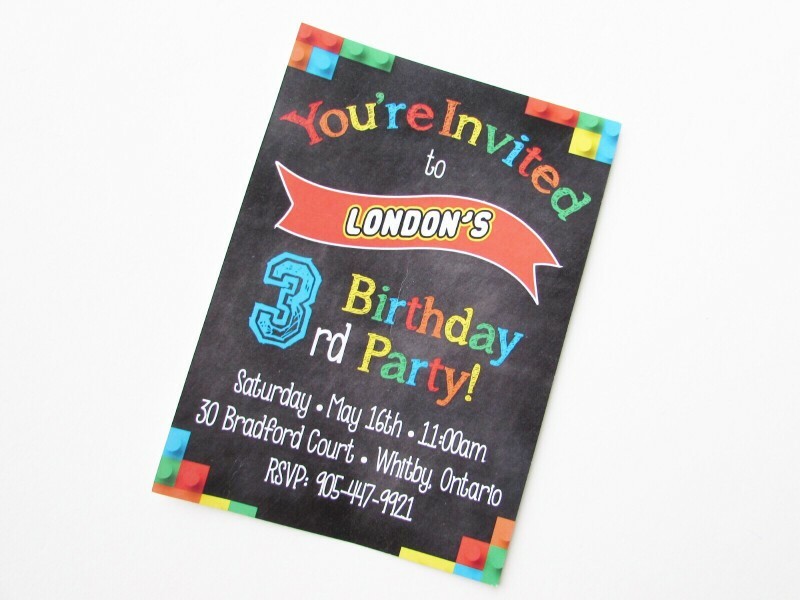 They have a whole package that includes personalizing the cupcake toppers and a welcome sign! A LEGO cake was in order for the table, and I wanted it to have some height so it was actually two cakes stacked on top of each other. 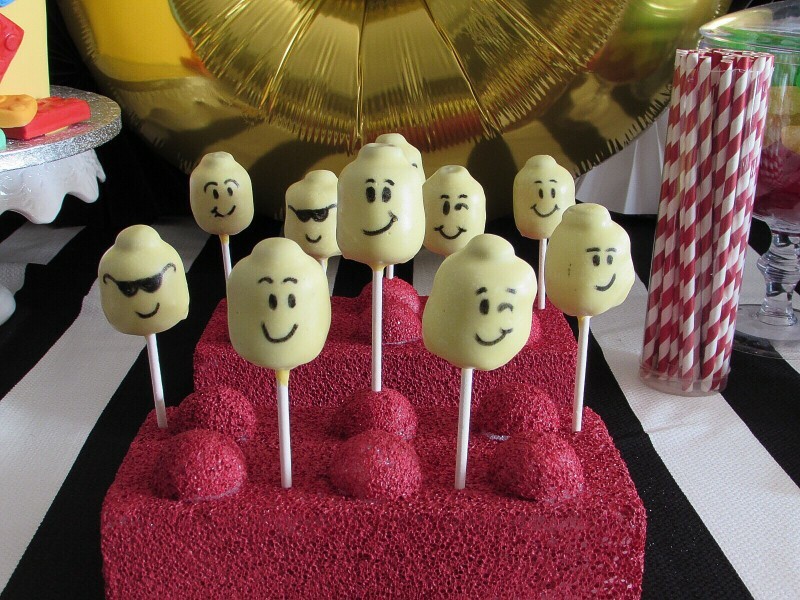 I also wanted cake pops as a treat as well, and I made my own cake pop holder. I used two pieces of styrofoam as the base, and to make each look like a piece of LEGO I cut styrofoam balls in half, and glued them onto each styrofoam block then pained each red to finish it off. 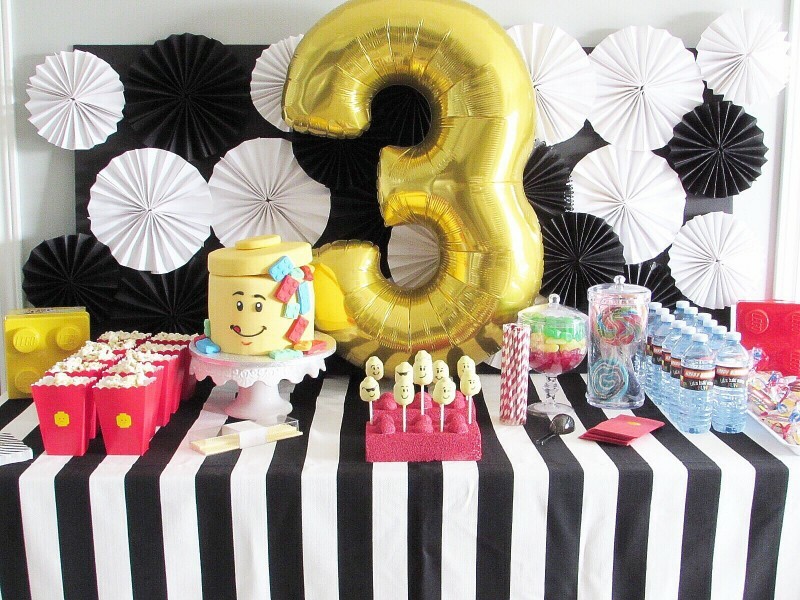 I used LEGO stickers to theme the popcorn tubs and candy bags, and used some colorful paper straws to decorate the table. 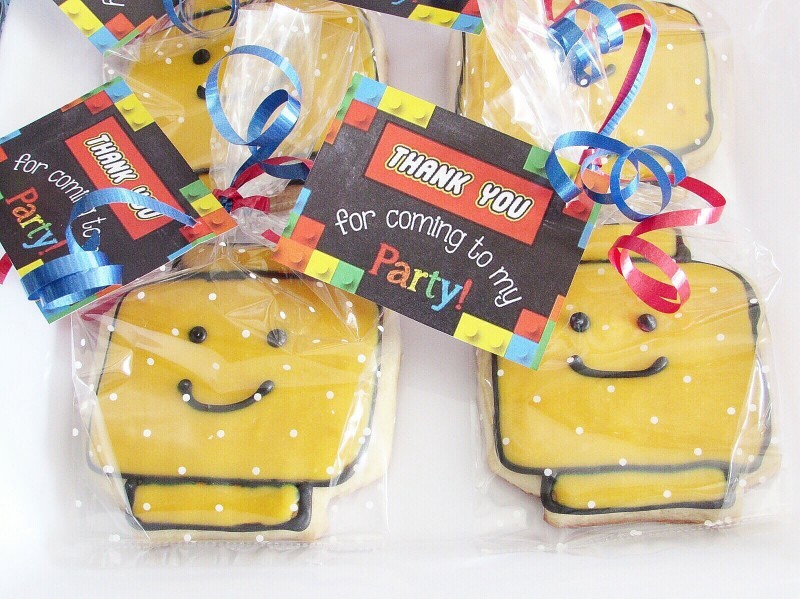 As a thank you gift for each of our guests I gave out LEGO cookies from Sweet Treats by Franca P. How adorable are these cookies? They tasted AMAZING! I was so happy with the way they looked, and they tasted so good that we didn’t want to give them away. 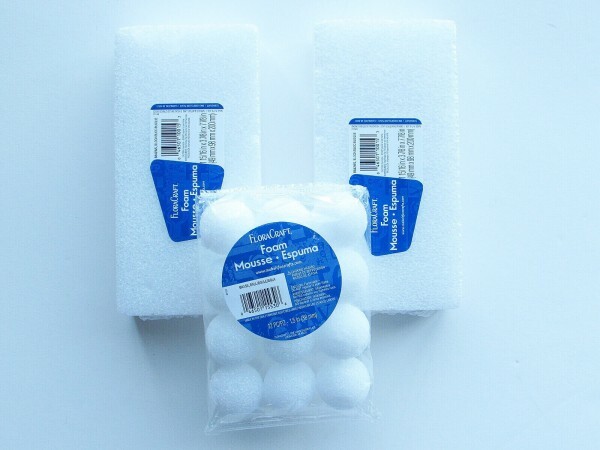 I loved the way they packaged them as well. 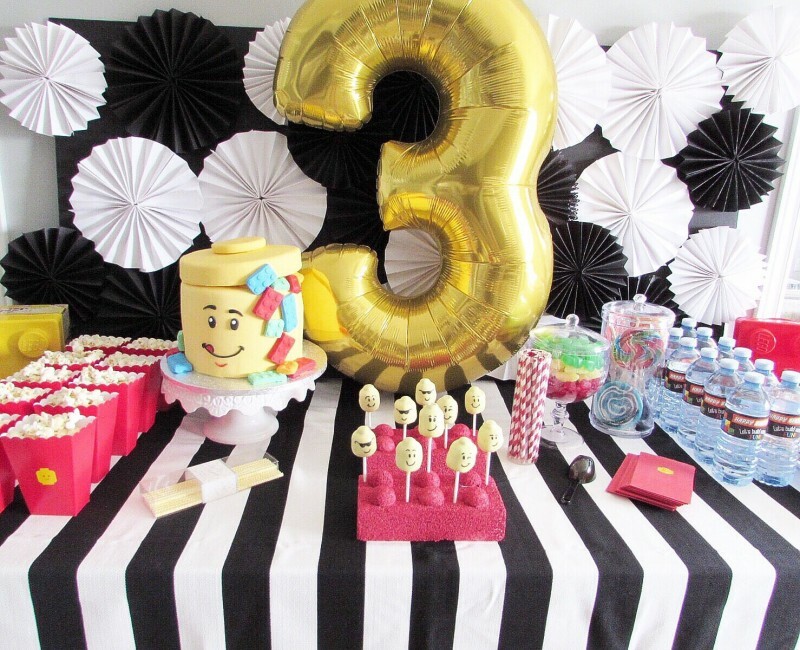 Some of the finishing touches on the table included storage LEGO blocks from Toys R’ Us and a gold number 3 balloon to finish off the table. 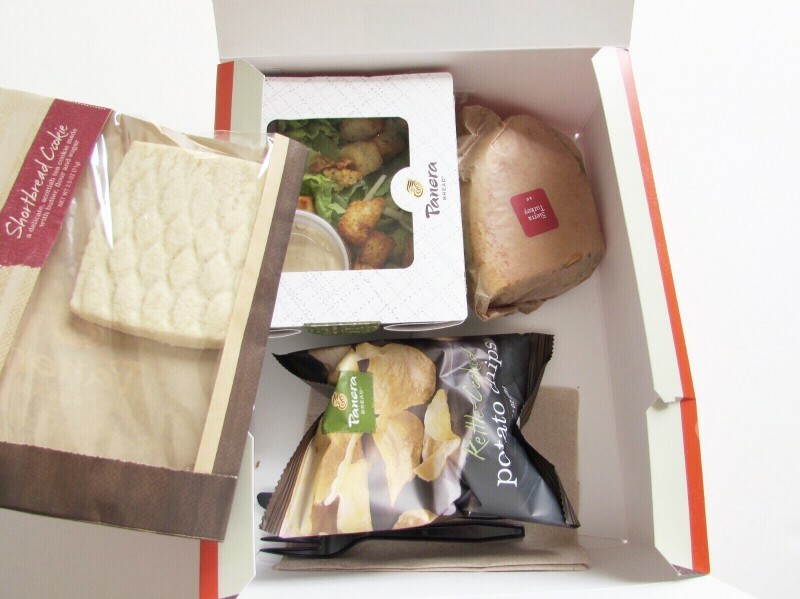 Catering lunch was easy with help of Panera Bread – They had customizable lunch boxes which included either a sandwich or half sandwich & salad paired with a pickle, a cookie and chips. 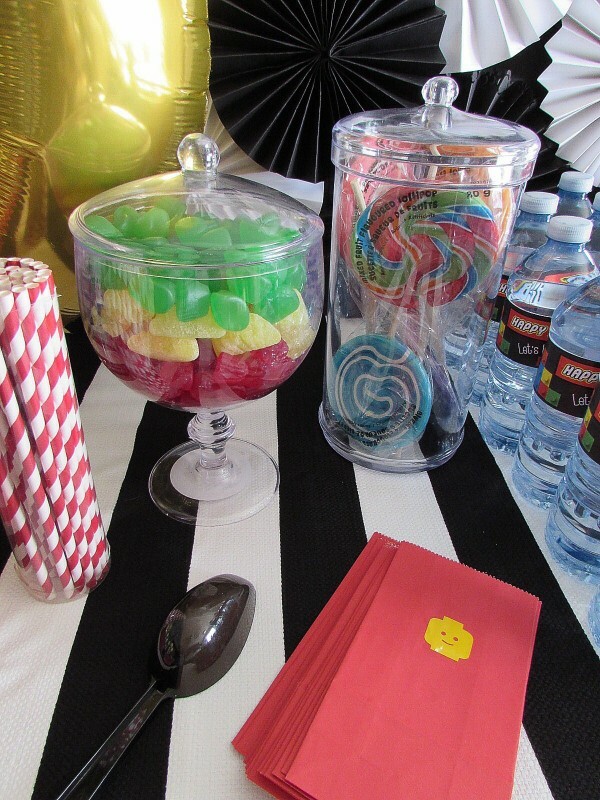 Overall I was really happy with the table, and my son had a great time at his party! 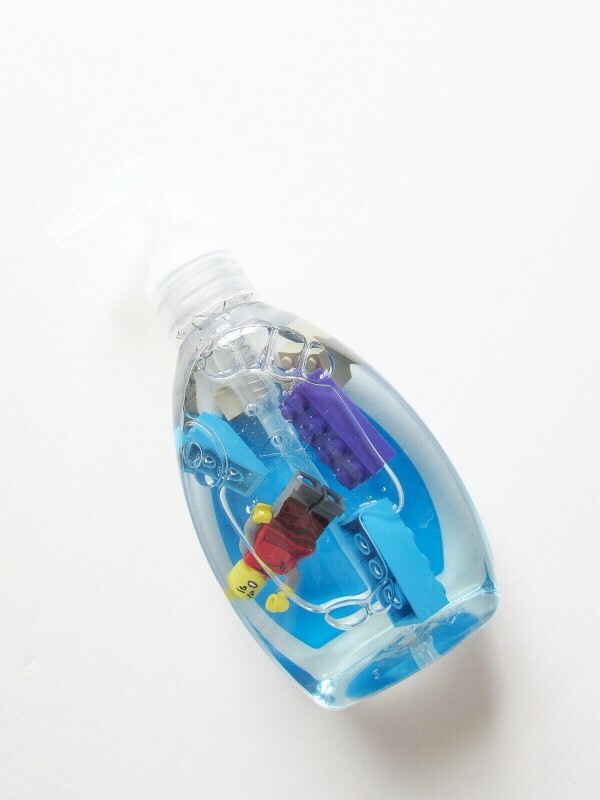 Do you have a little LEGO fan in your family? What do you think they’re favorite part of a LEGO party would be? Mandy Furnis publishes sparkleshinylove.com, a lifestyle site for hip urban moms in Canada and worldwide. Connect with her on Facebook, Twitter and Instagram. A version of this post originally appeared on sparkleshinylove.com, here. All Guest posts are edited by Savvy Every Day and so content here may vary from the original post. All images belong to Mandy.